Everyone knows how well Barack Obama’s presidential campaign made use of new media to raise money and market the candidate. We also know how big a role social technology played during inauguration week, from handheld flip HD footage appearing on network TV to people reporting on Twitter about what they liked and disliked. 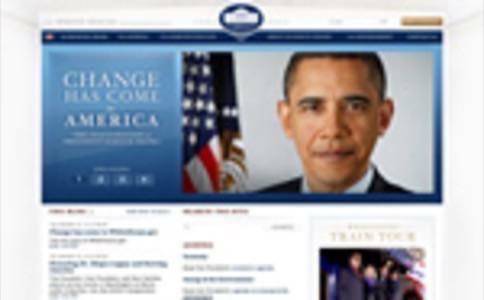 After President Obama took office, spirited debates proliferated in the blogosphere about whether or not whitehouse.gov is Web 2.0-enabled and what the role of President Obama’s CTO might be. But one striking trend has largely flown under the national radar: the rise of the goverati. About a week ago, President Obama issued a memo on this very topic. The memo, which affects all Executive Branch employees, has three main pillars: government should be more transparent, participatory, and collaborative. Social software will be part of an overall strategy to make this happen, spearheaded by the CTO, the Office of Management and Budget (OMB), and the General Services Administration (GSA). The naming of a “New Media” czar, Macon Phillips, will no doubt push the process along and keep branches well informed. There are many barriers to this kind of change, so many they would be overwhelming to list. But the changes that are happenening are being covered by the mainstream press, and they are being enacted mainly by — you guessed it — the goverati. Case in point: webmasters. Numerous policies and customs restrict the government’s use of things like commercial websites to host video and cookies to track visitors. Insiders from across the government have written a number of white papers that explain the problems (without using jargon) and outline reasonable solutions (here’s one of those white papers). Former CIO of the Department of Defense, Dr. Linton Wells II, often comments to me that battles in government are often won by the most persistent. And the goverati are certainly persistent. It knows that momentum and timing are on its side, and it is pressing its agenda on Washington. But changing the government is not like changing Apple Computer. President Obama issuing a directive is not the same as Steve Jobs issuing one. It simply doesn’t work that way, for all kinds of reasons. To change government, you must be persistent, have a hook, and know when and how to leverage connections and power to “muscle” change. And there are usually competing factions, outside interests, political seasons, etc. ; it’s a very delicate business. But interestingly, just as the goverati is fighting for a more transparent, participatory, and collaborative government, it is also leveraging the social tools it loves so much to become a body more powerful than the sum of its parts. The informal Government 2.0 social network GovLoop was developed by a DHS employee in his spare time; in a few months, it has surged to over 5000 members. Intelink, the intelligence community’s internal social network and information hub, is awash in blogs and other communication about the topic. Events are sprouting up everywhere, most notably non-profit ones planned by insiders and advertised primarily by word of mouth. The Sunlight Foundation, which uses the power of the Internet to shine light on the interplay of money, lobbying, and government, is hosting an unconference in late February called Transparency Camp, in which open-government advocates from all walks of life (tech, policy, non-profit, etc.) can talk across organizational and party lines in a casual atmosphere about new strategies for goverment transparency. It is sold out. This is exactly the kind of event you can expect the goverati in Washington and elsewhere to be holding in the next year as we transform President Obama’s memo into a reality within government. Closer to home, three partners and I have recently established the Government 2.0 Club, modeled on Social Media Club. Government 2.0 Club will bring together thought leaders in government, academia, and industry from across the country to explore how social media and Web 2.0 technologies can create a more transparent, participatory, and collaborative government. Local “Clubs” will hopefully also sprout up to discuss issues specific to them. And the first Government 2.0 Camp is happening in Washingston in late March. The excitement over new social technologies has not abated in Washington. Change is indeed on the way. The intriguing part is the mechanism by which it is happening. By using these social tools to network and share information among themselves, the goverati is helping to spread the use of these very tools throughout the government. Nature, Genome Research, American Scientist, the New York Times, the Washington Times, and other venues.